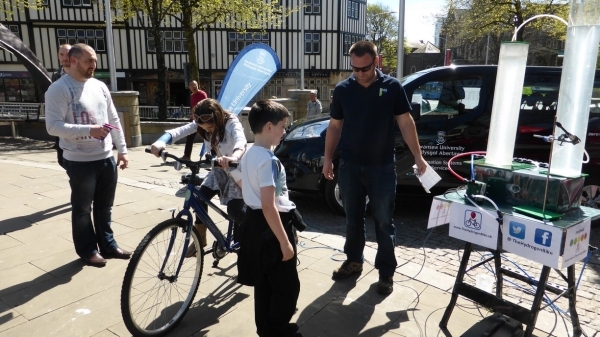 This project is an outreach kit designed to Engage, Entertain and above all, Educate the public as to some of the trials and tribulations surrounding the renewable energy concept. This is a really “Hot” topic at the moment with a desire to move away from fossil fuels and towards renewable energy solutions. It is safe, interesting and fully hands on. 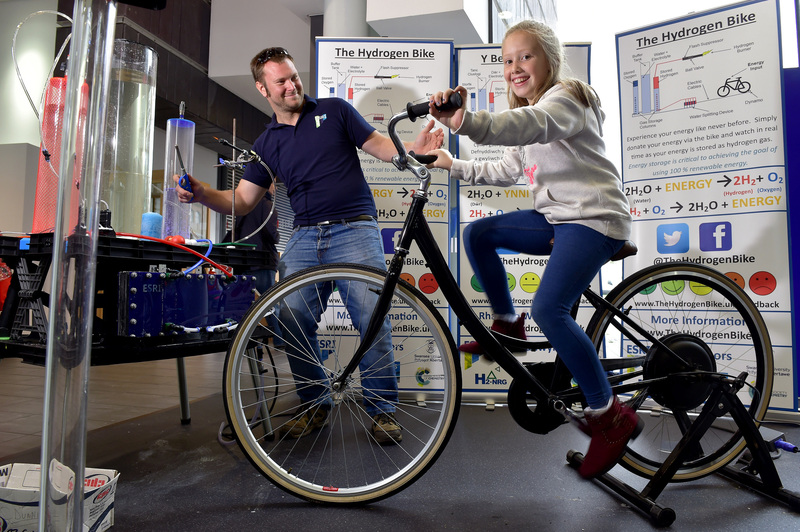 The Hydrogen Bike was conceived as an idea when Charlie was working at UCL and became a reality at Swansea. We have since grown it with the help of certain funding bodies who have helped pay for the different upgrades. There are many people who are instrumental in the running of this activity. 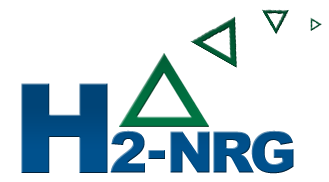 Primarily it is the Dunnill research group from Swansea University, all working at the cutting edge of science surrounding the use of hydrogen for innovative energy applications. Charlie heads up the Sustainable Hydrogen Innovation and Technology Group at Swansea and has interests in the use of hydrogen as an energy vector. He also researched photocatalytic water splitting where sunlight is used to directly split water. Charlie got his PhD from Glasgow University and then went on to do 6 years in London at UCL as a post-doc and Ramsay Fellow, before moving to Swansea. Dan works on the FLEXIS project and looks at Photocatalysts for water splitting. Mike works on photocatalytic materials for solar energy harvesting. Bill Works on electrocatalytic coatings for the electrodes to make the electrolysers more efficient and longer lasting. Steve is a post doc working on building new water-splitting devices for energy storage. Celsio is an economist working on hydrogen infrastructure. Faan is an engineer building hydrogen burners.